I’m kneeling on the floor of my Kampala consulting room eye level with my friend’s groin. It’s not actually his groin that I am studying, but a rash at the top of his thighs. In fact, I am looking everywhere BUT the groin area. Both of us are awkward, cringing with embarrassment. I am skimming over the surface of reality, hovering in the denial zone. Too soon, the skimming stone plops beneath the surface; I stand up and make eye contact. “It’s a heat rash” I announce, all professional. We are both fully aware that we were chatting as friends the night before at the bar, yet here we are pretending to be strangers and playing our parts as doctor and patient. “Nothing to worry about!” He pulls up his trousers and zips them. Even this act is disconcerting. He leaves the room reassured. I exhale. The next meeting socially will be a bit odd, the conspiracy of confidentiality will sit between us until we ease back into the territory of friends once more. All doctors are familiar with this situation. You’re a doctor; you have friends; sometimes those friends are your patients. It’s uncomfortable, but we don our professional hat and hide behind a little role playing. Groins are always hard to deal with, though. Next up was his wife, by the looks of it thoroughly relieved by her husband’s diagnosis. “I need a stiff Gin and Tonic before this, Kate. Especially with YOU doing it!” She had come for a cervical smear. Another groin! Launch another skimming stone and off we go. I was the new doctor in town and a female one, at that. The Expat community was checking me out. I felt popular as my clinics filled up with a rainbow of nationalities eager to get their take on ‘the new doc’. I was rather loving the attention. However, now Doc Gibbons had returned from his month’s leave, I was no longer needed full-time (which I loved) and went to working 2 days a week. 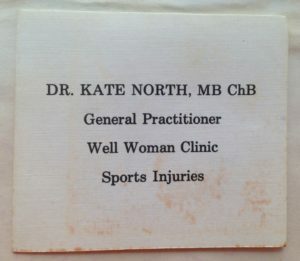 However, I was far too young and childless to be a part-time GP and besides I was still very keen to pursue my Sports Medicine training. 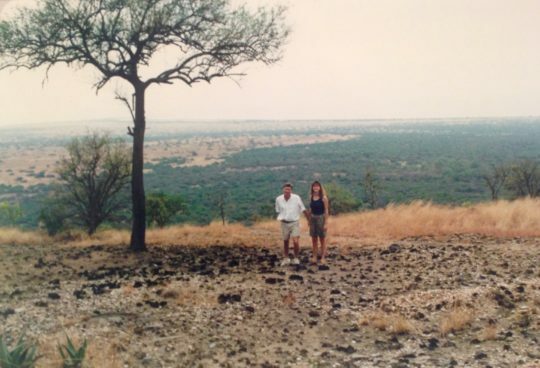 I also felt guilty, even a little ashamed, that all my peers from medical school were working incredibly long hours and studying for their membership exams, while I swanned around Africa. I had a sort of plan. I was studying a Distance Learning Sports Medicine Course from the University of Bath and absolutely devouring it. I enjoyed the medicine of it: logical and practical, great motivated patients and it felt wonderful to prescribe exercise more than drugs. It was perfect for me. The trouble was that in order to complete my assignments I needed to see Sports Medicine patients for my Case Studies under the guidance of a mentor. 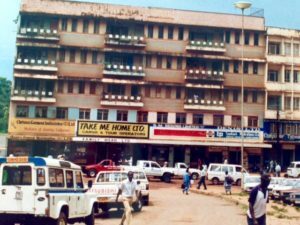 I quickly tracked down the one and only Sports Medicine Clinic in Uganda and made an appointment with a Dr. Kafuko. He was all smiles and full of excitement at the prospect of a possible accomplice. I was thrilled – the meeting couldn’t have gone any better and we agreed that I would shadow him weekly with a view to him employing me in the future. I was disappointed when Dr Kafuko cancelled my first session, though he quickly made up for it by booking me in the next week. The following week he cancelled yet again! 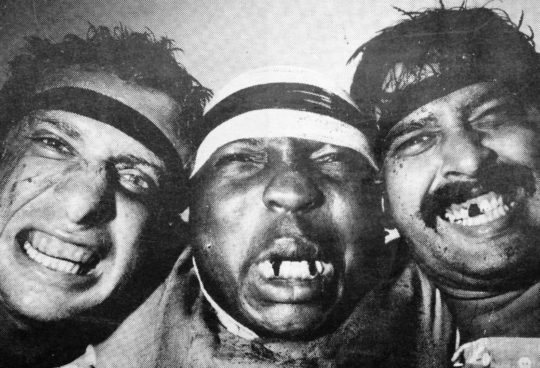 I was so upset – I’d been looking forward to getting my teeth into some Sports Medicine and collecting some patients for my Case Studies. The same thing happened the next week and the next, but I was determined not to give up. Most Sports Medics have a sport that particularly interests them and Dr Kafuko’s was Boxing. I arranged to attend a Boxing Tournament with him, where he was acting as Ringside Physician and this time he kept his side of the bargain. I had never watched Boxing even on TV before. It doesn’t appeal to me and I am firmly on the side of the fence that sees no sense in a sport where the goal is to inflict injury. 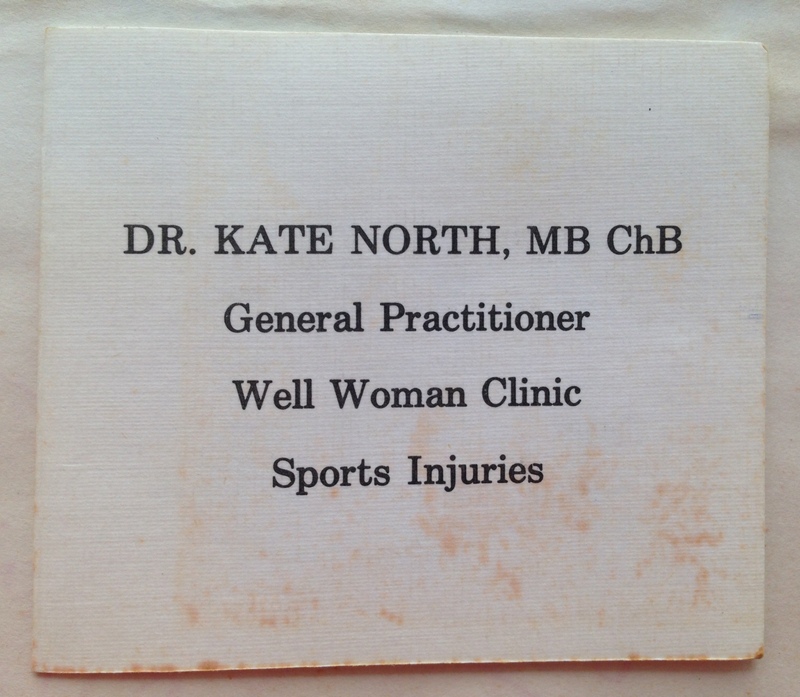 However, I had no right to express this opinion until I had acquainted myself firsthand with the sport, and besides these were desperate times for my Sports Medicine studies. 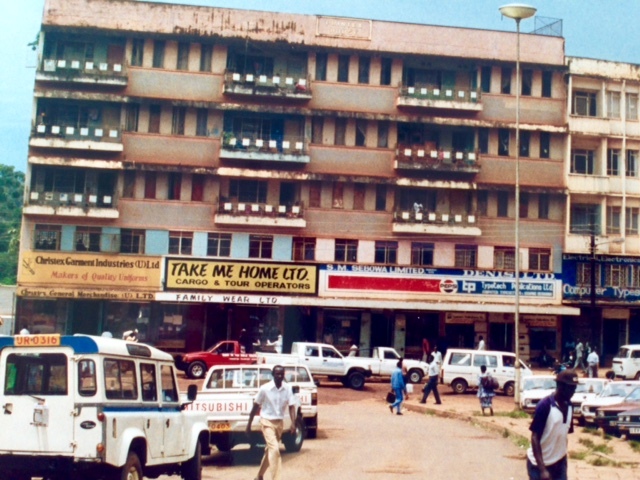 We drove together to a down-and-out area of Kampala. We walked into a dark, dusty hangar with tiered seating leading up from a central shabby boxing ring, where a match had already started. The testosterone-fuelled atmosphere was intense and overwhelming; the stench of sweat and aggressive clamour of several hundred young men clogged the air. I was the only woman, indeed the only westerner, and I was acutely aware of being watched. I followed the doctor to sit about halfway up – it appeared he had a special seat, reserved for the Ringside Physician. The whole event was dreadfully organised. There was continual shouting and movement of the crowd around the ringside, so that half the time it was not clear if the match was indeed the main event – shambolic doesn’t begin to describe it. I chatted politely to the doctor, anxious to impress and charm him. I needed him! We watched as the match finished and a new set of opponents took to the ring; they seemed so young, these two, and I guessed probably in the lightweight class. From the offset, one opponent, Blue Shorts, was clearly stronger. Very quickly the weaker one in red shorts seemed in trouble: a couple of times he hit the deck, but forced himself to his feet, only to be punched and jabbed and struck – blow after blow. I was shifting in my seat, wincing and restless; really not enjoying it at all. Much as I wanted to impress Dr Kafuko, I was anxious about the competitor. I asked the doc whether he could stop the match but he kept his cool, explaining there were few instances when he could intervene. By now Red Shorts was swaying on his feet, hardly able to keep his balance, and obviously disorientated. Why isn’t the Ref stopping the game? Why aren’t his trainers throwing in the towel? My instincts told me that this boy was in serious trouble. I pleaded with the doctor to step in! At last the kid went down and stayed down. The Ref counted over his prostrate body and hailed Blue Shorts the winner. Attention now switched to the loser, who was quite literally out for the count. I looked sideways at the doctor to see why he wasn’t approaching to assess him, but instantly a commotion around the kid regained my attention. I was unable to stand it any longer; if Dr Kafuko wasn’t going to assist, I felt it was my duty to step in, only Western girl or not. I ran down to the ringside, aware the doc was now hot on my heels: to protect me or his reputation, I wasn’t sure. It was far too late. I arrived just as the boy was being carried off by four men to be taken to hospital. His head was arched back. The whites of his eyes were showing and his teeth were clenched in a grimace. He was ‘posturing’ – this is an abnormal contortion of the limbs signifying severe brain injury – coning would be inevitable. Coning is when the brain is so swollen, in this case from a large internal bleed, that it herniates through the hole at the base of the skull. It is always fatal. I was numb with shock. I travelled back in the car in silence, unable to conceal my distress. The following day I read a small article in the New Vision newspaper describing how the child had died shortly after arrival at hospital. He was sixteen years old. With that, my short acquaintance with Dr Kafuko ended. I was relieved, but back to square one on finding a mentor. 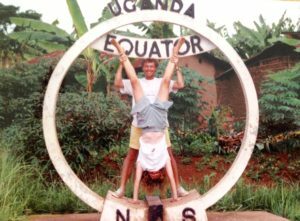 This was the first in a long series of stumbling blocks I encountered as I endeavoured to pursue my medical career abroad.